Update your home décor with these beautiful vintage textile prints, ready for framing and displaying! Instant Wall Art – Vintage Prints features forty-five high quality 8x10 prints with perforated edges for easy removal and quick framing. Whether you’re looking to refresh an outdated design or start a new collection of wall art, these vintage patterns are an affordable way to add some style to any part of your home. 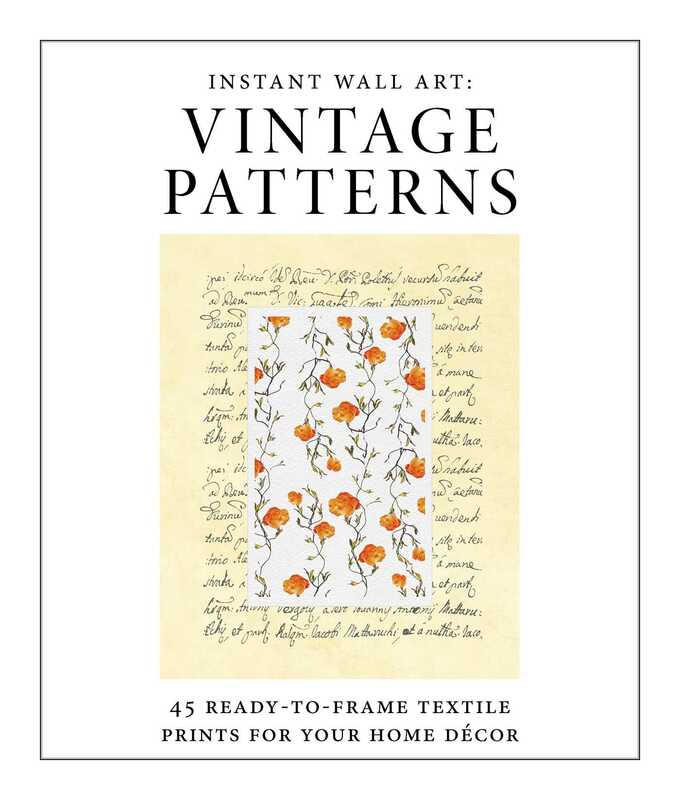 "Instant Wall Art: Vintage Patterns offers on-trend patterns and colors sure to enliven any home. These vintage patterns offer an affordable way to add beauty and style to any space … all with a global twist. Having 45 prints to choose from gives you a lot of creative possibilities!"